According to the Congressional Budget Office, the U.S. federal government’s spending in February exceeded revenues by $223 billion. This staggering number is the largest American monthly deficit in history, and actually exceeds the entire U.S. government deficit for all of 2007, just prior to the onset of the global financial and economic crisis. 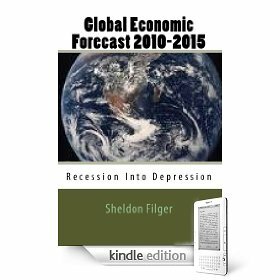 The monthly deficit number released by the CBO, combined with projections for a record federal deficit for 2011, clearly shows that the United States is trapped in a spiral of structural mega-deficits, which are unsustainable and will inevitably lead to a sovereign debt collapse for America. This is made more certain with the continuing proof that the American political establishment is totally useless in responding to this acute fiscal emergency. Sooner and not later, market forces, in particular the bond vigilantes, will intercede where the politicians in Washington have failed. The result will not be pretty, for the U.S. and entire global economy. Thomas Hoenig, President of the Federal Reserve Bank of Kansas City, has issued a stark warning regarding the ballooning U.S. federal government annual deficit and cumulative national debt. Hoenig told the Pew-Peterson Commission on Budget Reform that massive deficits being projected by the Obama administration would endanger the Fed’s ability to fulfill its mandate of maintaining stable economic growth and price stability. “Without pre-emptive action, the U.S. risks its next crisis,” stated Hoenig. What this senior Federal Reserve official is saying, on the public record, is that the current U.S. fiscal policies are unsustainable, and unless halted and reversed in short order, will precipitate a hyper-inflationary depression. Paul Revere has spoken. But who is listening? Certainly not the economic policymakers in Washington DC, who believe only small countries like Greece can face national insolvency. Sooner then they can imagine, they will receive an education which unfortunately will cost their countrymen dear. In the New York Times the oracle of Omaha, billionaire investor Warrent Buffet, has written a powerful piece warning about the growing danger of America’s expanding debt to GDP ratio. While defending massive deficits in the short run as necessary to save the financial system from collapse and economy from imploding, Buffet warns that in the long term an answer must be found for America’s fiscal imbalance. “Unchecked greenback emissions will certainly cause the purchasing power of currency to melt. The dollar’s destiny lies with Congress,” concludes Buffet in his piece. If the fate of fiscal sanity lies with the same Congress that is spending money like a fleet of drunken sailors, what are the odds that America will avoid hyperinflation? The original estimate of GDP contraction in the American economy was bad enough; a preliminary forecast of 3.8% negative growth in the fourth quarter of 2008, according to the Commerce Department. Nearly every observer believed this figure was overly optimistic, and expected the updated 4th quarter number to hover above negative 5%. However, when the corrected results were finally released, they indicated that the United States economy in Q4 of 2008 actually contracted at a much worse than expected rate of negative 6.2%! 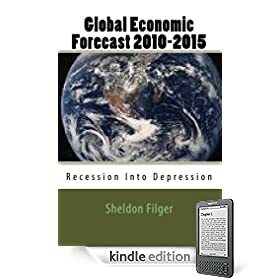 Not only did the statisticians of the U.S. government miss the true rate of economic descent in Q4 by a country mile; they were completely dislocated from the true rate of economic disintegration afflicting all strata of U.S. econometrics. Take for example exports, which supposedly showed some growth in the preliminary estimate, but are now shown in actuality to have been in decline. Ditto for inventory expansion. If anything, the corrected Q4 numbers tell us that the American economy is in free fall, and neither the public nor private sector analysts can give us a reliable appreciation of how severe the economic decline is in the United States in anything approaching a timely manner. In contrast, the Japanese government at least has been able to track its own economic implosion with much more accurate and timely numbers. I point out the wide gap in the preliminary Q4 number and the corrected results because it is a reminder to be weary of the likely attempts by both government and Wall Street to downplay the American economic contraction while hyping the projected upside. The Obama administration has just unveiled a budget that projects a stratospheric deficit of $1.75 trillion dollars, a number equivalent to roughly 12% of the GDP. In their budget projections, Obama’s economic advisors are projecting a total GDP contraction in all of 2009 of just a little over one percent. Based on the revised Q4 contraction of negative 6.2%, how can the Obama administration believe the American economy will rebound in the middle of 2009 and sustain a modest decline in annual GDP? The answer is that President Obama’s economic team needs a GDP decline limited to just above 1% to keep the administration’s promise of cutting the gargantuan deficit in half by the end of its first term in office, at least on paper. Political expediency may dictate how those in Washington deal with economic projections, however the Global Economic Crisis is not a respecter of political requirements. 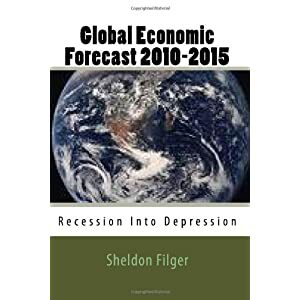 The U.S. is in a severe recession, and likely entering an economic depression. Any belief that the United States will halve its deficit while continuing with its accelerated public spending is pure fantasy. As with the revised Q4 number on GDP, the unvarnished data that is yet to emerge throughout the course of 2009 will end up being far worse than is being currently forecast.